In workplaces, as well as in schools, shops and public places in general, it is now hard to find a computer on its own. These little great miracles of technology, dramatically improved over time, have been able to turn the way of working, teaching, learning and organizing in general, and they did it in just over twenty years! But have you ever wondered how a computer is made ? Have you ever wanted to find out what’s inside this big box and how can you do so many things? I bet yes, and I’m happy to tell you that this is the article for you! By reading the following lines you’ll find out what’s inside a computer and what’s all the pieces you’ll most likely have to see. I will also explain how everything works in harmony and the very important role of the operating system , which allows you to carry out the operations you need in total autonomy and without having to be a genius of the computer. Ready to get started? Fine, I wish you good reading and good exploration! Our journey inside the computer begins with studying what they are and what they serve all the pieces that are inside the box . In the lines below, I’ll explain what’s and what the processor , graphics card , RAM memory, and all the other components that make up these fascinating machines. You will see, at the end of this reading you will be perfectly able to distinguish them by eye and you will perfectly understand their usefulness. The power supply is that component that gives electricity to all the other pieces of the computer. It connects directly to the power socket through the power cord and, out of it, several cables are connected to the components of the PC that require direct power – the motherboard, the disks , the optical readers and in some cases the fans. 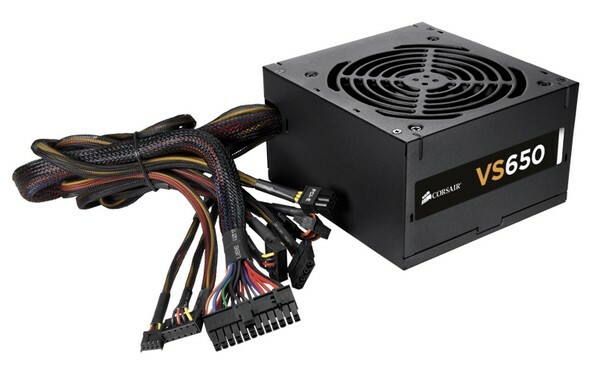 There are mainly two types of power supplies: the modular ones , on which the cables are initially disconnected and can be added as needed, and the non-modular ones , on which the cables are installed from the beginning and cannot be disconnected. The power supply comes with a cooling fan : this is to ensure that high temperatures cannot damage or even burn it. The power of a power supply is measured in watts and varies according to the pieces to which it is to give electricity. On the market there are power supplies at different wattages, useful for various computer configurations: for example, if your computer has more than one powerful graphics unit and / or processor, you need a high wattage power supply. If the power supply breaks, the computer can not light up, and should therefore be replaced. The motherboard is the most important component of the computer, the one that houses all the other parts, and is responsible for allocating the current received by the power supply, putting them in communication. Numerous integrated circuits , connectors , expansion slots and communication buses are located on the motherboard. These are used to connect the attached components to the connectors or expansion slots and to pass the data from one side to the other. The motherboard is mounted directly on the case and fastened with screws. 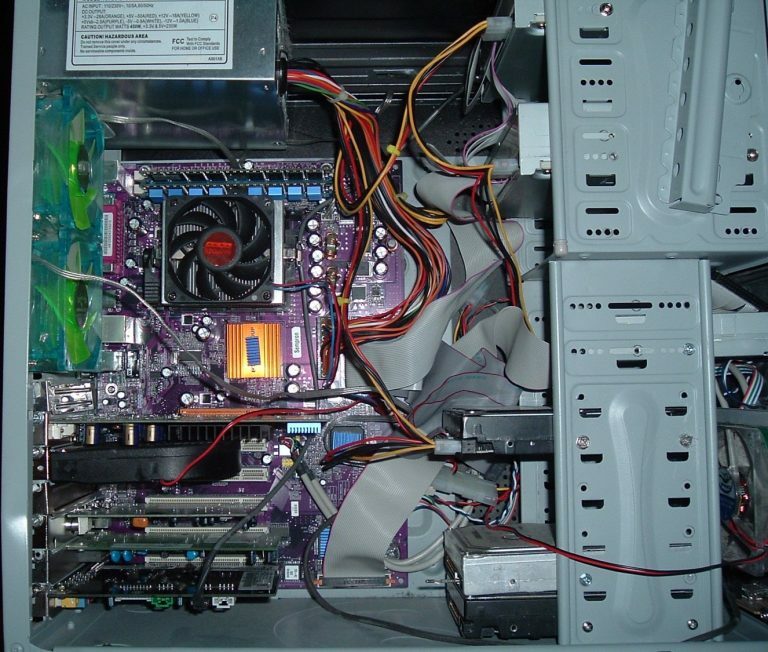 Virtually everything that matters about the inside of the computer to operate and receive data needs to be connected to the motherboard: from USB ports to LEDs , through speakers , fans , disks , processors , RAM benches and everything the rest. That’s why I told you that the motherboard is the main part of the computer: if this breaks down the computer will not work at all (since there would be problems in the passage of data) and it should be replaced. The motherboards are built with diamonds and copper, materials that help data transmission and at the same time resist high temperatures. There are several motherboard formats, which differ in size and number of mounted expansion slots . The most popular today is the ATX standard with its Mini-ATX , MicroATX and FlexATX versions (also to be chosen according to the desired size of the case). The processor is the heart of the computer: without it everything else would be completely useless! It is the internal component that manages to process the received data to provide it to all other parts of the computer, the operating system, and all its programs. Initially, the processors were made up of different “pieces”, each suitable for a specific function. Today, however, all about central data processing is integrated into a single printed circuit, which takes the name of a microprocessor . The small microprocessor unit that deals with calculations is the CPU . In some cases, you can also find the graphics calculator unit (GPU) on the same CPU plate – in that case, this component is named APU . Initially, the processor could only perform one operation at a time (though extremely fast), but today there are more core processors – more processing units – that allow you to perform as many current tasks as possible. The unit of measure to calculate the performance of a processor is hertz or Hz,but with the speeds a microprocessor can reach today, it is now necessary to speak of Gigahertz ( GHz ). The microprocessor has a dedicated motherboard housing , is installed directly on a slot, and includes a small memory for fast data caching ( cache memory ). The microprocessor can reach really high temperatures, so it is always overwhelmed by a fan connected to a heatsink; consequently, to see in the eye the processor will need to disassemble it. The major PC processor manufacturers are Intel and AMD , which offer processor families for various types of use. 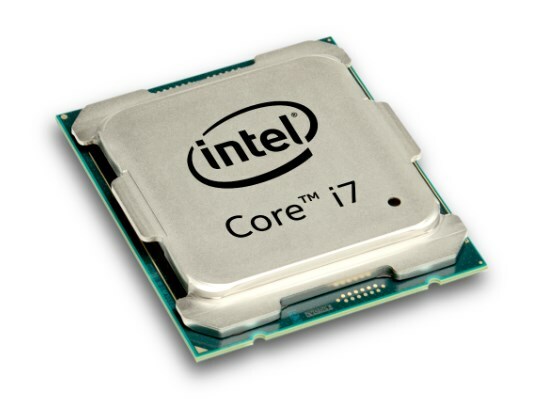 For example, Intel’s i series processors (eg i3, i5 and i7) are designed for the most powerful desktop computers and laptops, while core m processors (core m3, m5 and m7, and the latest generations have assumed the names of i5 and i7) are intended for ultrabooks and 2-in-1, which need reduced power consumption. The video card is that component of a computer that processes graphic data , that is all that can be seen on screen, thanks to the graphics processor (GPU) on it. The GPU receives data directly from the CPU and transmits them to the main video output device (usually the monitor). But I have to make a point: not always the video card is present on a computer, because the GPU can also be integrated into the motherboard or in the central microprocessor (in this case you talk about APU, I’ll explain it shortly). 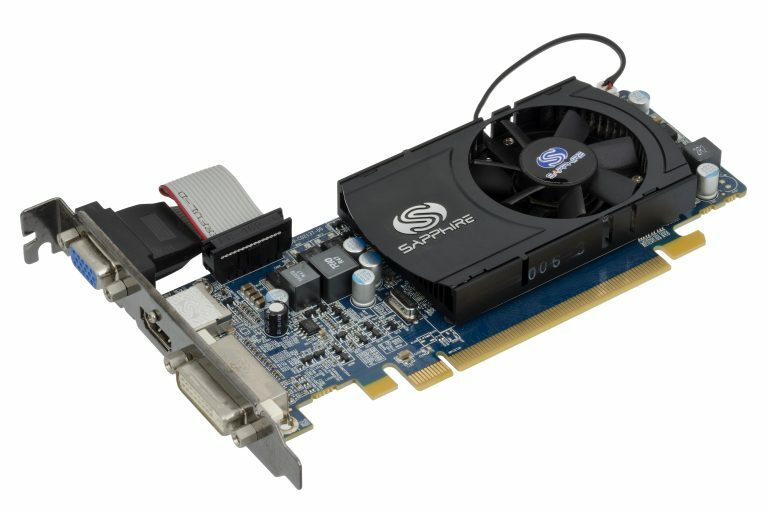 In some computers you can find both the integrated GPU and an independent video card – or, in technical terms, a discrete video card . Some particularly powerful configurations can also provide multiple video cards together , perhaps linked together to increase performance. The main video card manufacturers are Nvidia and AMD , which offer GPUs of various powers belonging to various market segments: the most advanced, high-end gaming and professional applications (eg 3D design) cost hundreds of euro. Are you saying you want to buy a new video card but would you like some other information about it? Perfect: I recommend that you go first on Wikipedia for a closer look. 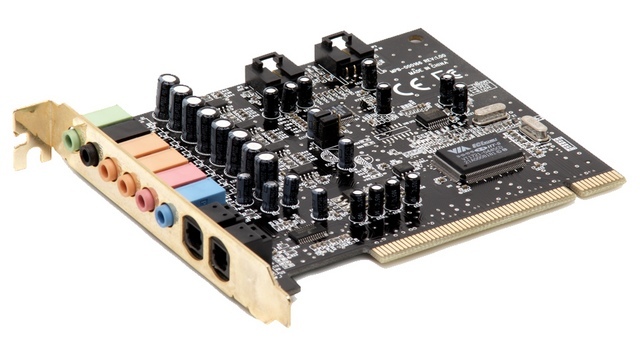 As the name itself implies, the sound card is the component of the computer that allows you to listen to digital sounds. Just like the video card, you can find it either integrated in the motherboard or as a separate component. In the latter case, the sound card has the shape of a thin rectangle with circuits and capacitors. The sound card is installed in a special motherboard housing and is powered directly from the motherboard . Once installed in the computer, the sound card allows access to its communication ports from the back of the case. Among them are. a digital output for advanced systems. Today, just like today, almost all motherboards have a built-in sound card, but if you’re an audio file and are looking for something that can increase the quality of sounds coming from your computer. I know it may sound strange, but work creates heat and inside a computer it would be easy to get even at temperatures that exceed 100 degrees … if there were no cooling systems . The most common cooling method you can find inside a computer is the fan . There is usually one in each of the most inclined components to heat up – a processor fan, a fan for the power supply, and a fan for the video card. The fans placed directly above the units are equipped with a heat sink . However, it is not unusual to find homes that include one or more fans to improve indoor ventilation. Another interesting system to keep down the inside temperature of your computer is liquid cooling . 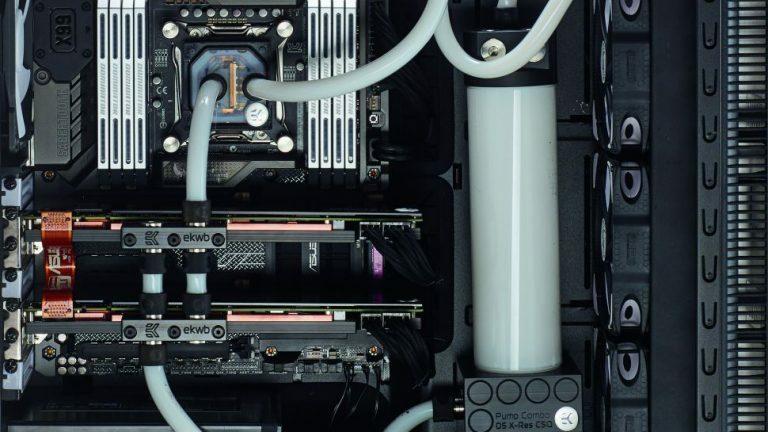 This is a system of pumps , fans , tubes and other components that allow you to turn your computer into a coolant , which prevents the internal components from overheating. The liquid never comes into direct contact with the components, but the heat transfer takes place by convection : on each component to be cooled to liquid there is a waterblock that has a function similar to that of the heatsink and runs through the refrigerant liquid the component itself. Some liquid cooling systems are equipped with very light tubes, very nice to see! Wait a second, would you like to get a better idea of liquid cooling? The RAM is the component of a computer that acts as a “via” between the hard disk and cache of the processor and has the duty to speed up data traffic, since the processor bus works at much higher speeds than the disk. RAM memory looks like a long and thin rectangle, it is a printed circuit that contains benches ; the latter are concerned with storing the information. The peculiarity of RAM is that it is completely emptied in the absence of electricity: it is a “transitory” memory that passes data that is eliminated when the computer is shut down, ie the data of the applications in use and the running processes of the system. RAM Memory Measures in GigaByte: The larger is, the more information it can contain, the more computer performance increases, especially in multi-taskingoptics (that is, running multiple programs at the same time). It is installed in special motherboard housings (often equipped with a “snap-in” mechanism to facilitate mounting and disassembly) and communicates directly with the processor and other storage media. The hard disk (or hard disk ) is the part of the computer that stores the persistent data, ie those that have to last in time. It is about it that you can find the operating system, installed programs and all the files and folders. The hard disk communicates directly with RAM: When the operating system requests data, they are taken from the disk and loaded into RAM and then processed by the processor. There are mainly two types of fixed disks: the mechanical disk that uses handles and heads to save and retrieve data, and the solid state disk (or SSD ), which instead uses a set of small, power-charged memories. In addition, you can find hard disk drives from different storage cuts; the unit of measure to measure the available space is GigaByte (GB, equivalent to 1000 or 1024 MB, depending on the disc manufacturer’s estimates) or TeraByte (TB, which equals 1000 or 1024 GB), and more a hard drive is large more data can hold. In addition, a hard drive can have two dimensions: 3.5 ” (reads three inches and a half), the classic mechanical disk that you can find on a computer, or 2.5″ – which is the standard size of SSDs and mechanical disks portable. 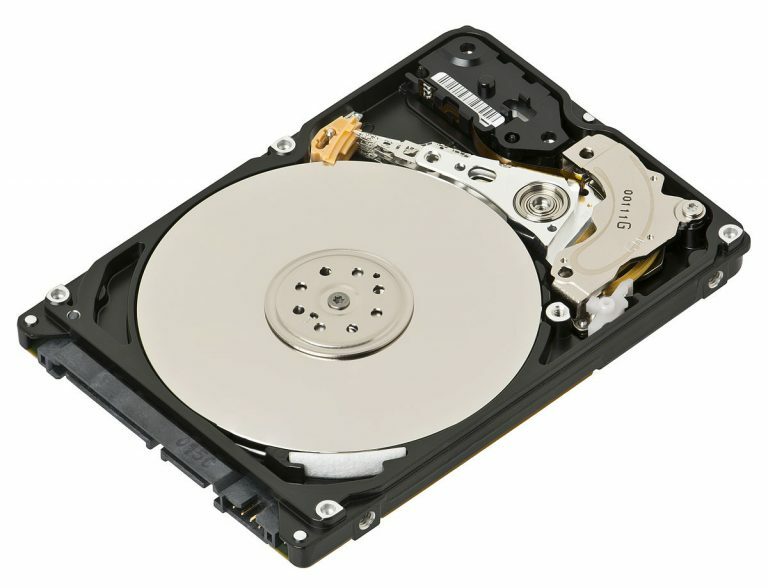 The hard disk is positioned in a specific housing of the houses , and is connected to the motherboard via a cable SATA data (I, II, or III). The hard drive needs to receive electricity directly from the power supply , which is connected via an SATA power cord . As the name suggests, the network adapter is the one that offers the ability to connect to a network or the Internet. It can be either wired (Ethernet) or wireless (Wi-Fi) and has the shape of a thin rectangle with printed circuit boards (and, if it is wireless, an antenna). It houses and feeds directly from the motherboard via the PCMCIA or PCMCIA -e input (which stands for express). one or more Wi-Fi antennas for wireless networking. The case is the case where all the other components of the computer are located, the so-called ” box “. Usually a case is made of sheet steel or aluminum , this is to improve thermal conductivity (the components inside it can reach very high temperatures). Each house is arranged with special housings to hold the pieces inside; some, even, provide guides to pass the cables and keep them tidy. Typically, there are also LED indicators, pushbuttons, communication ports, and fans that may differ from case to case: hereafter I explain the most common. Power button – is the key you use to turn the computer on and off. It is usually on the front or top edge. Reset button – is the key you use to restart your computer brutally , without turning it off “clean”. LED indicators – are the “lights” of your computer, the indicators that show you what’s going on inside. Usually a case includes a power LED that lights up when the computer is turned on and a dedicated disk LED, which lights up when the drive is in use. To work, the LED indicators must be connected to the motherboard. Communication ports – Some homes already have communication ports on board, in comfortably accessible places – generally on the front. For example, you may find headphone and microphone jack, USB ports or eSATA ports. For these to work, these ports must be connected to the motherboard. Fans – Some houses incorporate one or more fans to be included in the cooling system. The fans, too, must be connected to the motherboard or to the power supply. The side panels of the case can be dismantled to allow insertion and assembly of the interior components, as well as cleaning. Some side panels are made of plexiglass , so you can see what’s inside. Usually, the height of a case varies between 33 and 65-70 centimeters , depending on the size chosen: the microtower measures about 35 cm, the minitower is 40, the mid-tower 44 and the towerabout 60 centimeters. When you decide to use small houses, you have to be careful of the motherboard format to use inside it. There are also houses larger than 70cm but usually they are used for servers. Now that you have finally given a name to all those components you’ve definitely seen on a disassembled computer, it’s now that you will learn the exact name of everything you see out of the computer but connected to it through wires and adapters. These components are called input / output (or I / O) peripherals , because they allow communication between the computer user and the computer itself. By using them, you can enter data (inputs) on your computer and view output data generated by the processor, disk, and discarding work. Some of them will know them for sure, others maybe not! The monitor is an output device and, as you certainly know, it is essential to use your computer, as it lets you see everything that happens. There are monitors for all tastes and sizes, and typically their main properties are the diagonal (ie the physical size of the screen, in inches ) and the resolution (ie the number of pixels on the screen). Some computer monitors are touch-screen and may also include small speakers for sound reproduction. The monitor is connected via cable to the video card communication ports, typically to the HDMI or DVI digital ports . Some older monitors are connected via the “old” analog VGA port (the audio jack of the monitor, if present, is directly connected to the sound card). With some special configurations, you can even connect two monitors to your PC ! Already you are, do you need advice on buying a new monitor? I have a dedicated guide that might be of great help to you. The mouse is an input device that allows you to control the dart that you see on the monitor and that uses the operating system to click. Basically, the mice are equipped with two front buttons (usable with the index and the middle) and a clickable center wheel. There’s really a mouse for all tastes, some of which are dedicated to players or professionals, and feature a lot of pointing accuracy and additional push buttons. There are mouse wires (which connect to the computer via USB cable ) and wireless mouse ; are you thinking of buying a new one? I have a guide for the best mice waiting for you to be consulted! The keypad is another very important input component: it is through it that you can write texts or use particular computer functions. There are keyboards for all tastes, both economical and professional. Some of them also offer additional buttons to manually configure with custom actions ( macros ), others may have an attractive aesthetic appearance and, moreover, a combination of the two. Commercial keyboards can have different layouts, ie different keystrokes and symbols, depending on the country in which they are sold. The keyboard connects to the computer via a USB connection ; On laptops, however, this has a direct connection to the motherboard. On the market, you can find both wireless keyboards and keyboards. And if the keyboard suddenly stops working, you can use a virtual keyboard until you buy a new one! The touchpad (or trackpad) is an input device that replaces the mouse on laptops. There are different types of touchpads: almost all are clickable by touching them with finger, others have separate buttons for right and left clicks, others do not need physical keys and can only be controlled with their fingers thanks to gesture support . For example, clicking with one finger creates the left mouse click, with two fingers the right, with three fingers you can open menus, with the pinch you can increase or decrease the zoom , rolling with two fingers you can move up or down the windows and talk. The webcam is an input device that, when connected to the computer, allows you to take pictures, record videos, stream live on the Internet (for example, with direct Facebook or Skype) and with a little imagination even watch over the home . Most of the commercial cameras are equipped with a microphone and can have their own base or be attached to the monitor via a clip . Webcams are connected to the computer via USB, while most laptops are already integrated into the monitor and plugged directly into the motherboard. How do you say? Do not have a webcam yet on your computer and want to buy one? I can help you with a number of good advice . The printer is an output device that is used to create paper copies of documents, images and digital files in general. It can be connected to the computer via USB cable, Wi-Fi connection or cloud companion and, thanks to the drivers, is fully managed by the operating system. In the market, you can find printers with wire and printer Wireless, which give the file on paper using ink jets from a cartridge, a special compound called toner or special thermal inks . Some printers also include a scanner (which also works by copiers) and a fax machine. In this case, you are talking about multifunction printers . You can find more information about printer technologies on the dedicated Wikipedia page . How do you say? Would you really need a printer and would you like some advice to buy the best? Take a look at my guide to buying a new printer . So you were informed and decided to buy a scanner? Perfect: Even in this case I can guide you in purchasing the best scanner in circulation. How do you say? Looking for something smaller and bringing with you when needed, so you need a portable scanner? Be quiet, you can consult my dedicated shopping guide. Although today’s no longer used, optical readers have been integral parts of computers of many generations. These are devices that can read data from optical media such as a CD, DVD or Blu Ray disc: virtually the classic “readers” in which you can insert a disc. Optical readers are connected to the motherboard’s SATA data bus to send and receive data and, exactly like fixed disks, receive electricity through the SATA power cord connected directly to the power supply. The card readers are devices input / output , because they allow both to acquire data from them is to transfer from your computer. Today, like today, card readers replace the optical readers I mentioned earlier and typically are able to easily read SD , microSD , microSDHC , microSDXC and SDHC cards . The speakers (as well as headphones) are output devices and, actually, are the ones that allow you to play sounds from the computer. Generally they must be connected to the sound card, but there are speakers and headphones that can also be connected via a USB port. If you’ve been able to read here it means that you have quite clear ideas about what’s inside a computer and, above all, what they are and what they need for all the pieces that until a few minutes were completely unknown to you. But you know, many times the essential is invisible to the eyes and you do not realize that characterizing a computer is not just what is inside, but also what turns on us . In this regard, I want to introduce you two other components of a computer that you can not physically touch but that you can safely use, and without which any PC would be completely useless. What am I talking about? Obviously the operating system and application software (most commonly defined set of programs ). Continue reading below and you’ll find out why these components are nothing basic. So far I’ve explained to you what all the components in the case are all about, and it’s clear that to make them work on a motherboard and motherboard, they play a key role, but have you ever wondered how they are coordinating and where to get the data to be processed ? The merit is everything in the operating system ! This is, in fact, a particular program that acts as an intermediarybetween the computer and the user, and is designed to simplify the user’s insertion and processing of data on the computer. An operating system communicates with the user with windows, buttons, menus or simple text interfaces , after which it clears the data received between the various devices, communicating with it through the device drivers – or simply drivers . These are small programs , which are in turn made up throughbetween the operating system and the internal and external parts of the computer. This is because components can not directly understand operating system instructions, and vice versa, the operating system can not directly interpret what it receives from the various components. That is why, in order to optimize the performance of a computer, all device drivers must be installed and updated to the latest available version . Another key task of the operating system is to make it through the computer programs and internal components: without a base operating system, in fact, a program can not work … unless it is itself an operating system! In general, all electronic computers have a more or less complex operating system that can coordinate, manage, and operate internal components, as well as allow the user to use the computer itself. As for computers, the most widely used operating systems are Windows Microsoft, MacOS from Apple and the open source Linux and its distro . Now that you understand the importance of the operating system, it’s good to open your eyes to another component you use without being aware of it: the set of application software , also known as programs ! If your operating system is critical to running a computer, programs are critical to doing the tasks for which it is used. Do you want some examples? The browser is the program that allows you to surf the Internet, the mail client is the program that makes you read emails, the word editor (such as Microsoft Word) is that program that allows you to create and edit written documents , the image editor (such as Photoshop ) is that program that lets you edit photos and images … and I could go on forever! After learning all of this, you will agree with me that the hardware part (ie the pieces inside the computer) has the same importance as the software part and that these two categories are absolutely complementary to one another: without each other, there would be no reason to be there. In other words, a computer can not run without the operating system and programs, as well as operating system and programs have no reason to exist without a computer. If you have come here I can deduce that you are ready enough to move you, almost independently, to what is the fantastic world of computers! If you feel confident enough and want to try to build one yourself, you can get inspiration from my guide on how to build a computer. But wait a moment, do not have time to select the pieces individually and would you like to take a look at some computers already ready? Then I can only ask you to consult my purchase guide on the best computers you can find on the market.